Let your pet come and go with the Sliding Glass Pet Door. 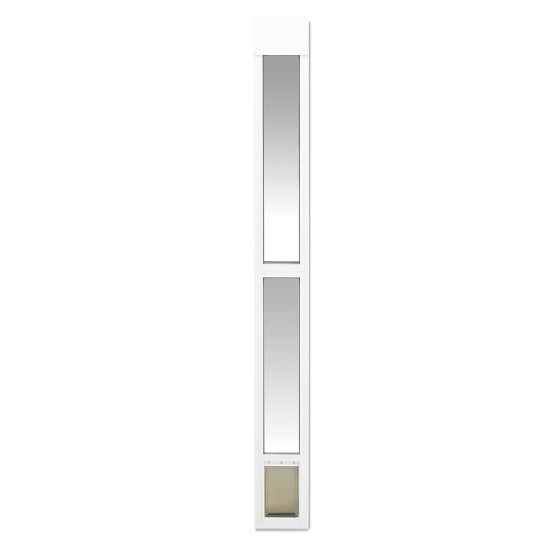 Easy to install, the door automatically adjusts to fit in your existing sliding glass door. No cutting required! 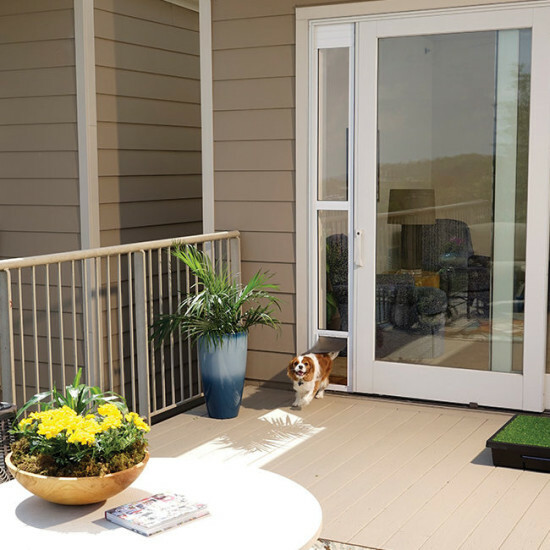 Great for apartments or condos, this pet door gives your pet easy access to the outdoors for exercise, potty breaks, or family time on the patio. The door features a heavy-duty aluminum frame with tempered glass. 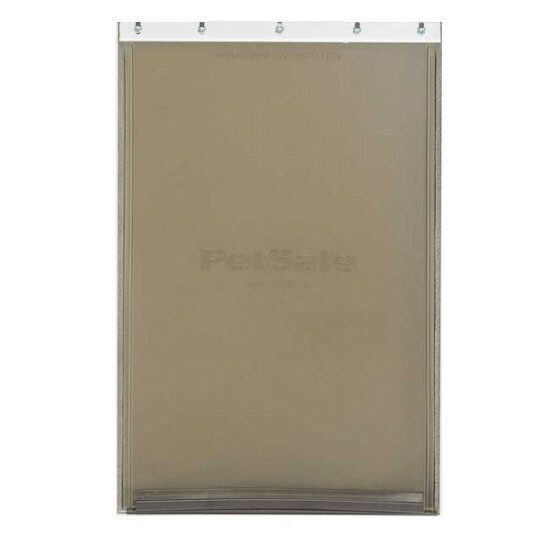 The soft, flexible tinted flap has a magnetic closure and pile weather stripping along the opening for a weather-tight seal. A glass sweep and closing panel are also included for improved weather resistance. This patio pet door fits sliding glass door openings 76 13/16” to 81” tall.